Education is a natural process carried out by the child and is not acquired by listening toﾠwords but by experiences in the environment. As well as following the Montessori teaching method we combine our knowledge of the Early Years Foundation Stage alongside the work of other child theorists to provide all children in our care with a varied and balanced learning programme. 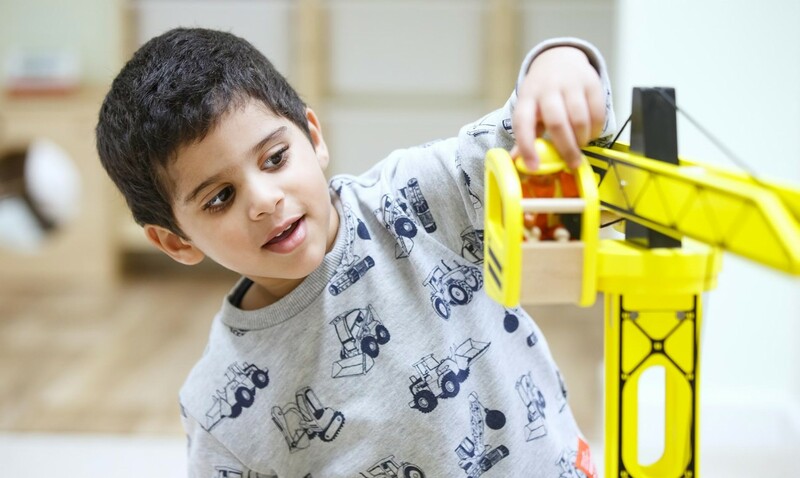 The Montessori Method gives children freedom of choice and movement in a prepared environment, to pursue their own interests and enjoy their own achievements where dignity, respect and independence are of paramount importance. Fundamental to the Montessori approach is the belief that early years (from birth to six) are the period when children have the greatest capacity to learn and the greatest appetite for knowledge. What happens during these critical years lays the foundations for their future. The key to the Montessori Philosophy is the specially designed equipment. There are specific learning tools for each core area of learning, created to help children develop essential physical, cognitive, linguistic and social skills. Montessori devised a whole range of materials to help the child sort, match, and grade. The materials are designed to help the child’s mind focus on some particular quality, e.g. wooden rods that teach ideas of length, cubes in the pink tower teach that of size. One of the nice aspects of the Montessori approach is that wherever possible natural materials are used instead of plastics and synthetics. Montessori discovered structure was important to help children feel safe and secure. Montessori is based on a child's innate desire to learn. Their enormous capacity to do so is stimulated when provided with a favourable environment and appropriate materials, under the guidance of a professional. Dr Maria Montessori (1870-1952) started the Montessori method. She was a pioneer of child-centred education whose interest in education started while working with special needs children. She realised that her methods and ideas applied to all children and moved on to establish several schools where she used the classroom as a laboratory for observing children and finding ways to help them achieve their full potential. Her scientific approach underpins much of the Montessori philosophy and the design of the Montessori didactic materials demonstrates a remarkable insight into children learning dispositions. Montessori has become an amazing worldwide movement and provided generations of children with a very special start in life. At The Green Giraffe Day Nursery we are part of this great movement, inspiring a new generation of children and giving them that greatest of all gifts, the joy of learning. To read more about our My Montessori Child Software please visit their website. "The child’s work is to create the person he or she will become. ﾠAdults work to perfect the environment but children work and play to perfect themselves."